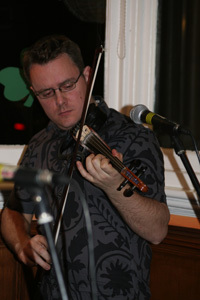 Gavin Jones, who joined Elaine's contemporary folk rock outfit, Kindred Spirit, in June 2006, is an exceptionally talented violin player. 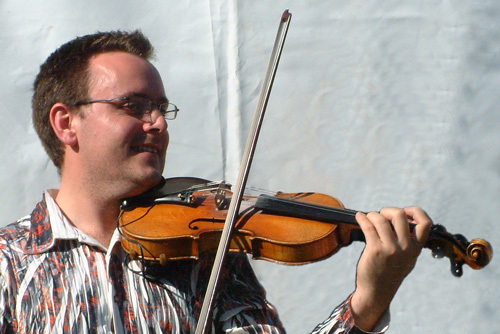 Gavin started to play the violin at the age of 4 and was taught classical music both privately, at the Yehudi Menuhin school and at Hampton School in Surrey, achieving grade eight with distinction. Gavin has played in several different orchestras but the highlight of his career, up to this point, was playing with the Surrey County Youth Orchestra at the final night of the School Prom at the Royal Albert Hall leading the orchestra and playing a small solo in Vaughan William's Symphony No. 5. He has also toured Europe with various school choirs, including going to Iceland to sing in the cathedral in Rekjavic which has an astounding 9-second echo! 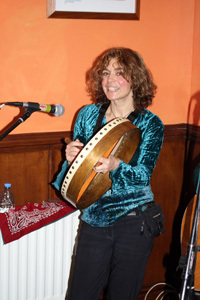 He has toured in Germany, Hungary and for a day in the former Czechoslovakia, too. 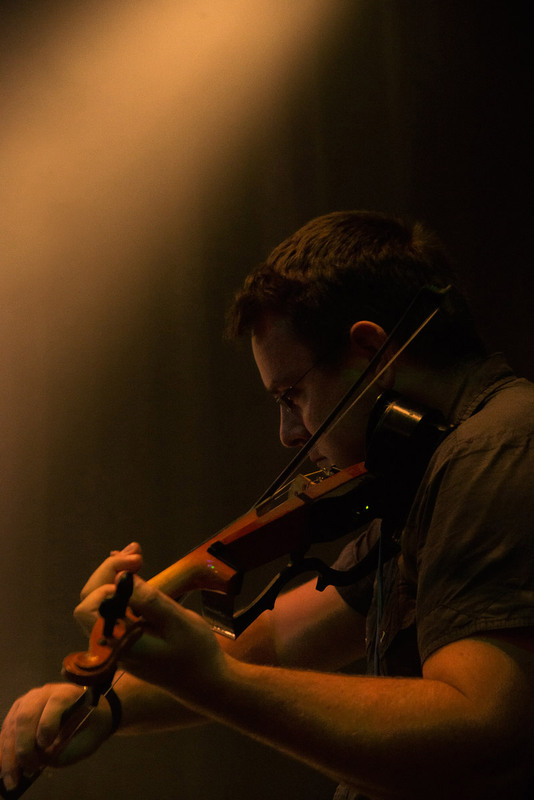 Gavin has played jazz and blues violin acoustically for a number of years, being inspired by his brother Adam, who is an accomplished blues keyboardist and his late father who was a pianist and lover of all forms of music. 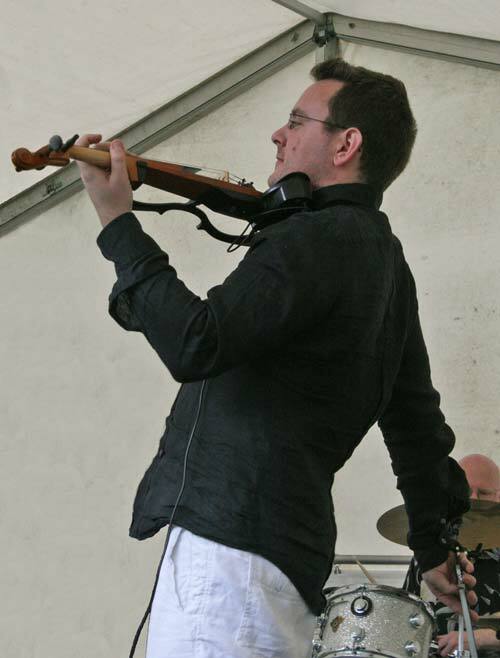 Gavin has been playing his electric violin, a Yamaha SV-100 Silent, with a Boss ME-50 effects board since December 2006 and has now mastered the controls and effects to produce some incredible soundscapes from delay through to distorted rock! 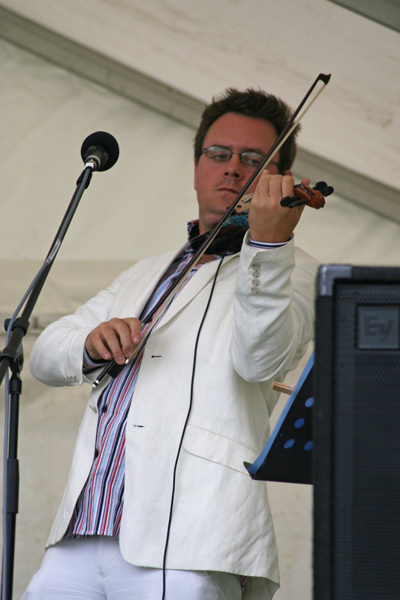 As an editor / publisher by day (with experience in the hospitality and catering side of publishing) and electrifying violin player plus food appreciator in between, Gavin has earned the revered nickname of "Gannet” amongst his colleagues and friends. An aspiring food critic (with a gradually expanding waistline), Gavin has steadily been tasting his way around gigs and has discovered some outstanding food / music venues. 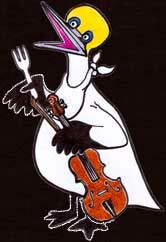 At these particular venues, Gavin has described the meals on offer as being “so wonderful” that we thought he should be able to mark them as "Gannet Approved Venues" (or GAVs), with the "Gannet" logo. A new feature of the Kindred Spirit “Pub Guide” then, will be the much sought after “Gannet” mark (see right). 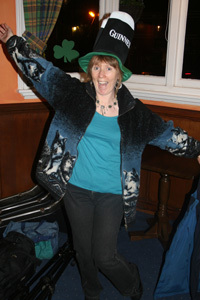 Those venues achieving this high accolade will have the mark placed beside the picture of their establishment on the “Pub Guide” as an indication, to anyone looking for a superb meal (as well as some excellent live music), that here is the place to visit. 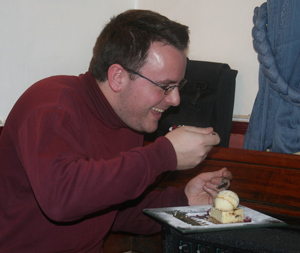 Any venues thinking that they truly deserve a “Gannet” mark should encourage Gavin to sample some of their culinary delights, a prospect which we are sure he won’t be too unhappy about. The Ibex is the quintessential gastro-boozer. 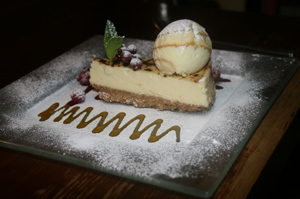 The food is not just your usual "satisfying steak'n'kidney pie", or your "alright fish'n'chips" - it is an experience all of its own, washed down with crisp, clean ales and lagers, and, of course, well-crafted wines. I recently tried the banana tartlet and it was a fantastic little number. If you like sweet, it's there in the form of creamy pastry and fresh banana filling with a zesty berry sauce, which allows the palette to read the flavourswithout any interruptions from overly-strong spices or garnishings. In short, food that is this fresh and tasty should not be ignored. The food here is the masterful combination of sauce and the untouched healthiness of fresh duck. The combination of flavours was wonderful and I was, with gusto and aplomb, exhuberant in my display of delight for this dish. It was a masterstroke. This restaurant specialises in high quality fish and seafood.